The Château de Jonquières is located on the right bank of the river Hérault, at the foot of the Larzac Plateau. The Château was built by the Saint Jean family in the 13th century. 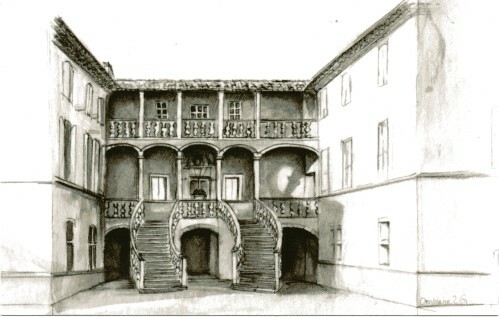 Through consecutive heritages it becomes the property of the Vissec de Latude family who modifies the exterior architecture with a horse shoe stone staircase combined with two balconies typical of the Italian Renaissance. 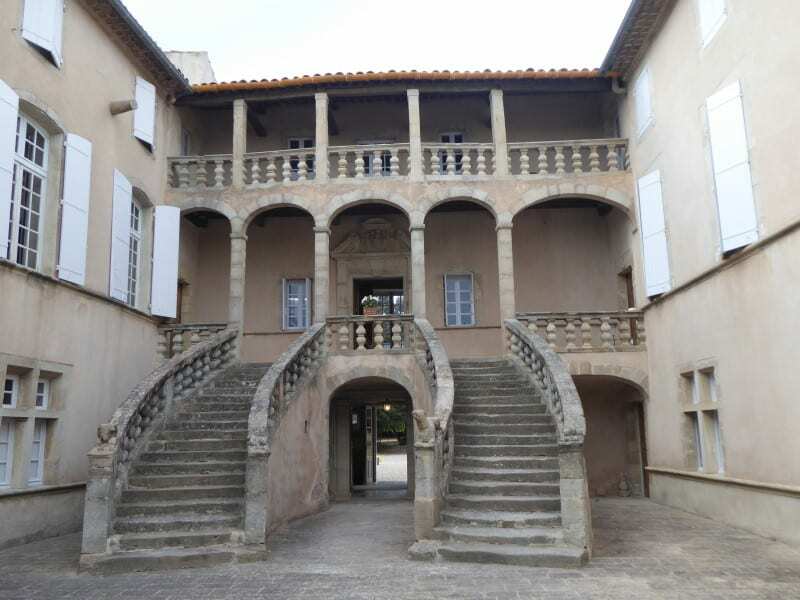 It is officially recognised as one of the buildings considered by the French government as being part of the French cultural heritage, although still a family mansion today. 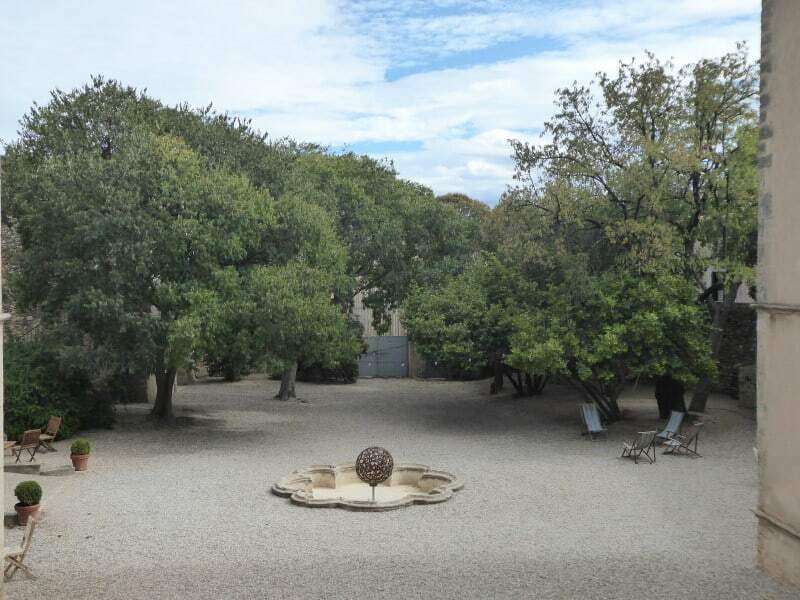 François de Cabissole has replanted and transformed the property and in 1992 started bottling his own wine. 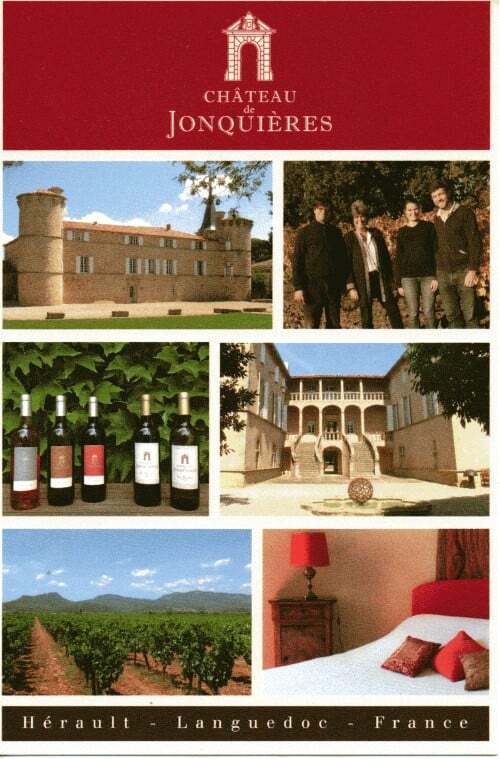 Since 2005, you can discover the Languedoc region while staying in one of the four B&B rooms or in the gite at Chateau de Jonquieres. 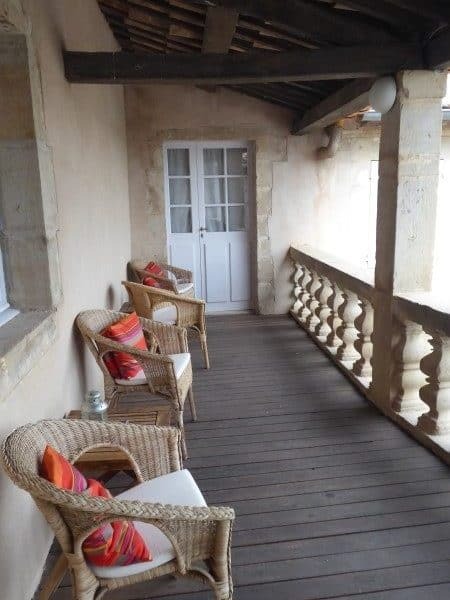 The spacious and elegant rooms on the second floor of the chateau are well equipped with modern bathrooms and views over the extensive parkland with original antique decor and a loggia overlooking the courtyard. You will be warmly welcomed by your host Isabelle de Cabissole who will also provide a superb breakfast with homemade jams and yogurt. It is very peaceful except for the church bells! 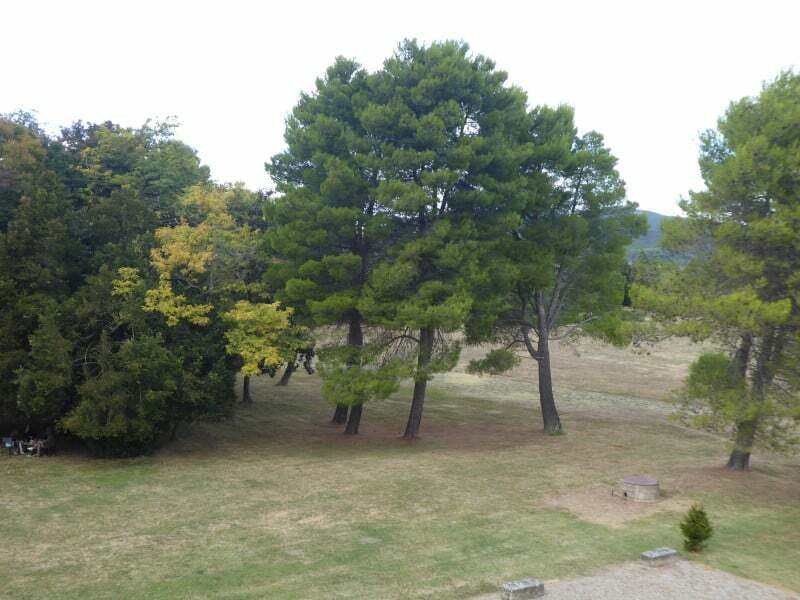 Yet in a few footsteps you can explore the small village of Jonquières. 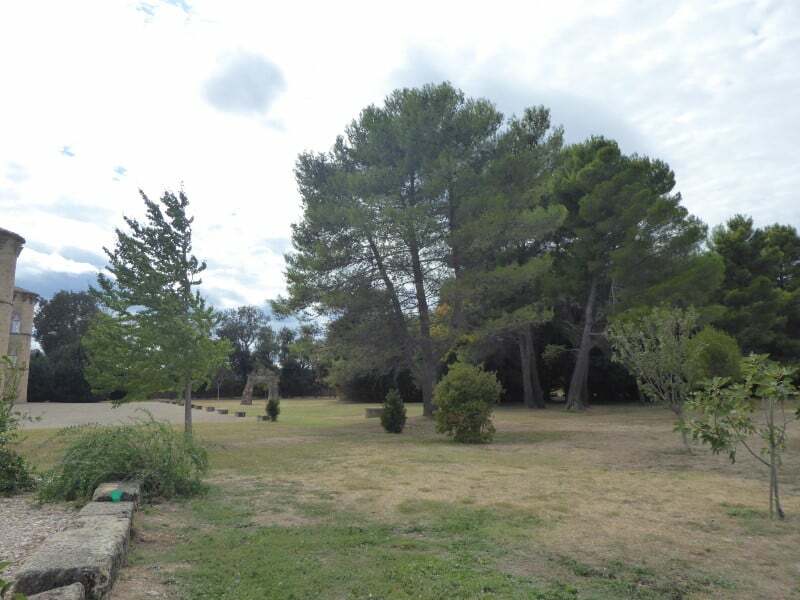 There is also an outdoor swimming pool (a converted irrigation pond) and free Wifi, or relax under the shade of chestnut, laurel or olive trees. 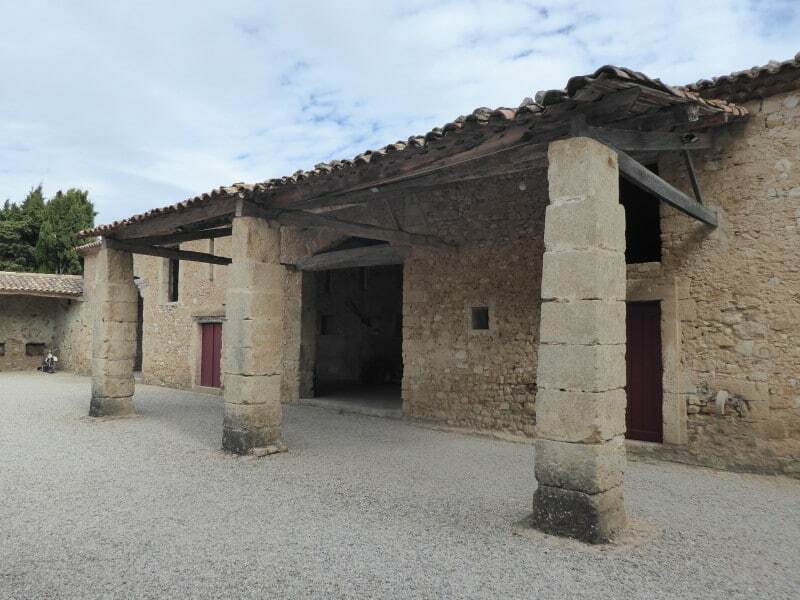 Down in the courtyard is the Caveau – wine tasting cellar where you can sample/buy the Chateau’s wine. There are tours of the cellars and a tasting most weekdays. 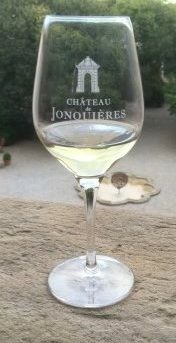 The wines produced are red (AOP Languedoc) made from Carignan, Syrah, Mourvedre and Grenache; and Vins de Pays d’Herault for whites made from Grenache Blanc and Chenin; and rosé from the renowned Terrases de Larzac. 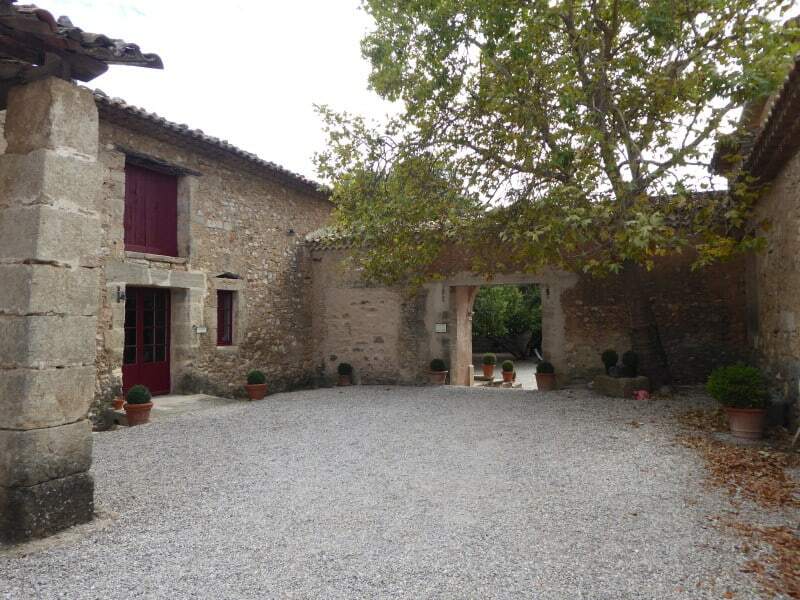 From 8 hectares (20 acres) of vines the family produce 5 different cuvées which have received great reviews in the French wine press and even Parker! 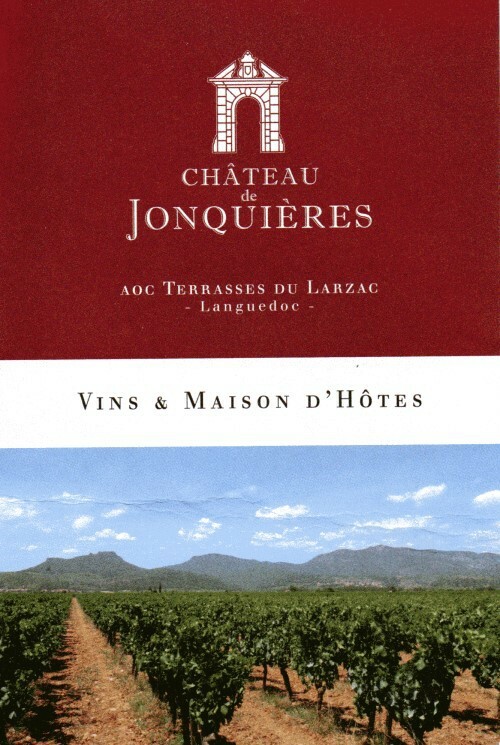 This special terroir is characterised by the cool air descending from the Larzac plateau. The area is well worth exploring and away from the Mediterranean beaches the landscapes of the Regional Park of the High Languedoc (Parc naturel régional du Haut–Languedoc) can be truly stunning – and rich in history and wine, especially in towns such as St Chinian – and there are plenty of activities (canoeing etc) down the valley of the River Orb. 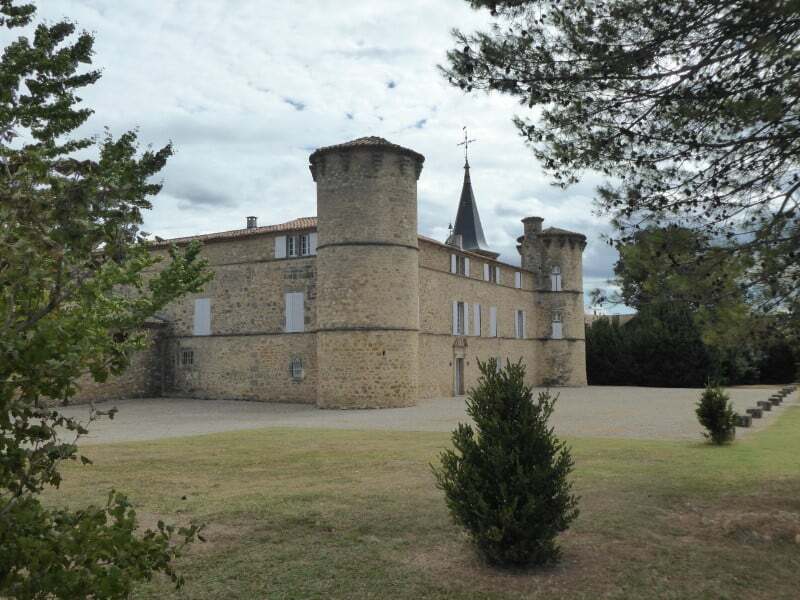 You can book this Chateau in your local currency (e.g. GBP£ or USD$) – and no booking fees! 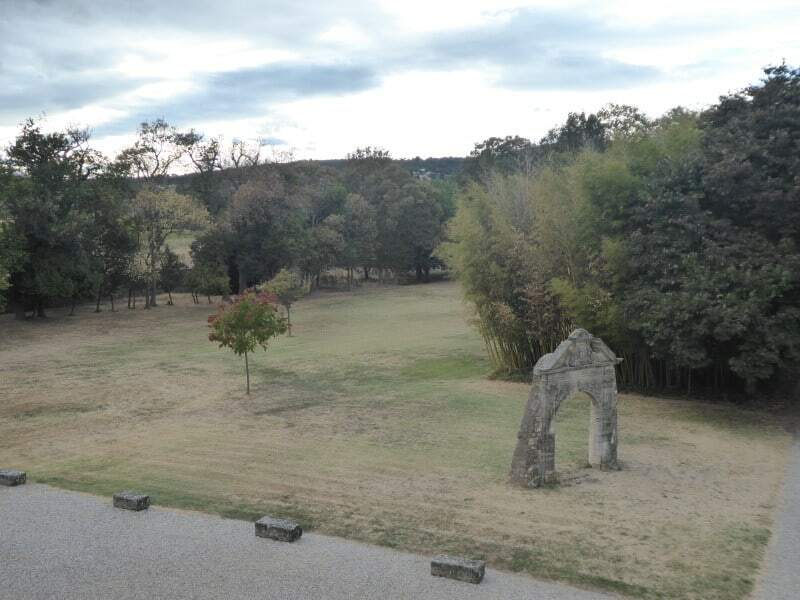 The Chateau is located near Clermont l’Herault (34 Herault, Occitanie) about 25 miles west of Montpellier with its high-speed train (TGV) connections and airport.